Sheila is the founder and head coach of The Cycling Academy and The Cycling Academy PRO Coaching. Her organization focuses on training programmes for endurance athletes, based on scientific insights and programmes. The staff exists of 20 dedicated and highly skilled professionals working in 6 locations across The Netherlands to train 300 athletes each season. I began my career as an engineer for Capgemini Ernst & Young before moving into recruitment and executive development. 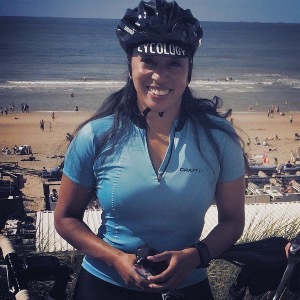 I now work as a successful Independent Leadership Coach and founder of The Cycling Academy, a company specialising in training and coaching amateur endurance athletes across six locations throughout the Netherlands. I am a cyclist, golfer and a triatlete. Success. Coach Sheila Gemin has been notified of your message. To hire Sheila Gemin as your coach, select the coaching service that is right for you.